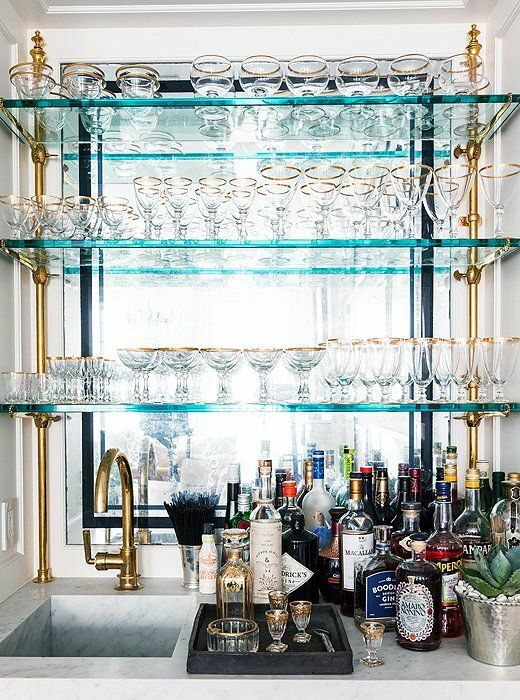 Bar carts are all the rage right now - and for good reason. They’re the perfect visual addition to a room when styled well, and they’re functional in a way we can all get behind. Because who doesn’t love a good cocktail? 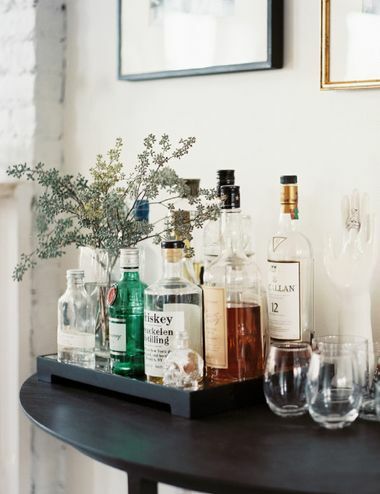 Not all bar carts have to have the same look, though. 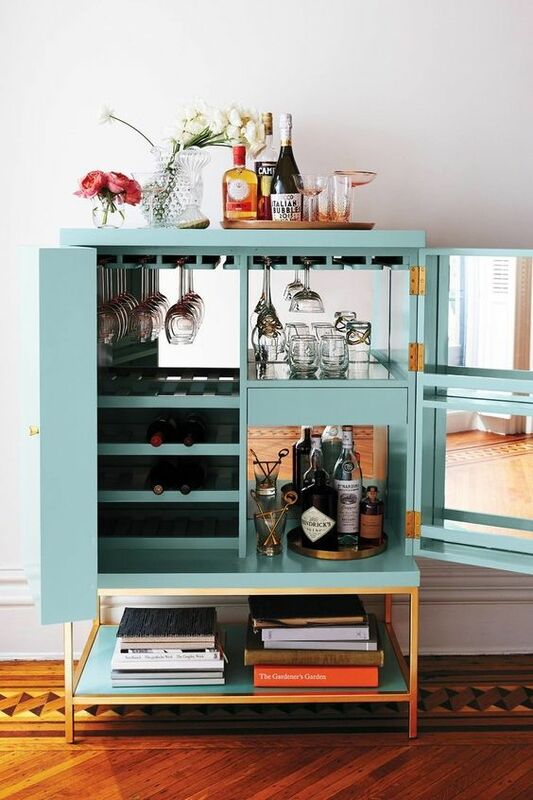 If you’re not into the typical brass two-level cart that’s popular right now, there are so many other unique options to choose from to showcase your favorite drink fixings. 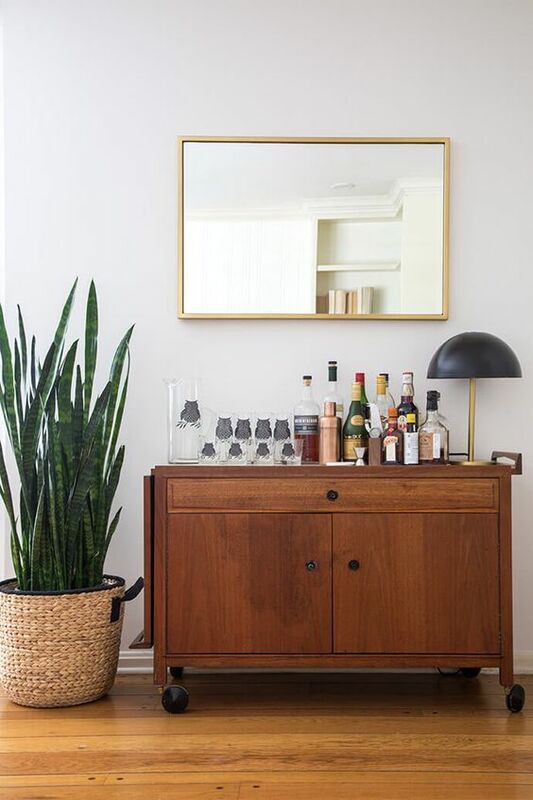 We’ve rounded up some of our favorite unconventional bar cart ideas for your home, which means before you know it, you’ll be raising a toast to good style. These beauties are as flexible as TV dinner stands, but with way more visual appeal. They’re easy to move and reposition around a room as needed, so they’re perfect for parties. Extra bonus? You can swap out the tray for another look if you ever want to spice things up. Try a lucite tray or a farmhouse-inspired wood tray to add a new and exciting vibe to your space. This option is ideal for anyone with a small home or apartment. If you don’t have the floor space, it can be hard to justify a cart or extra side table. 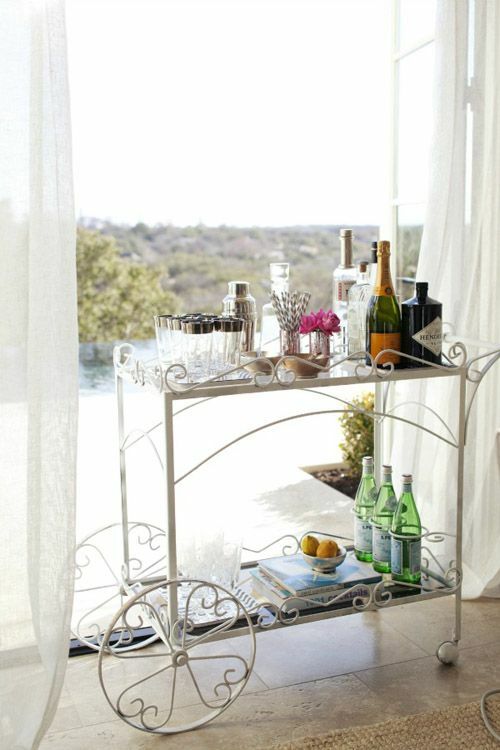 But if you pop in shelves and go vertical, you get an instant bar “cart” that doubles as wall art. Does it get any better? 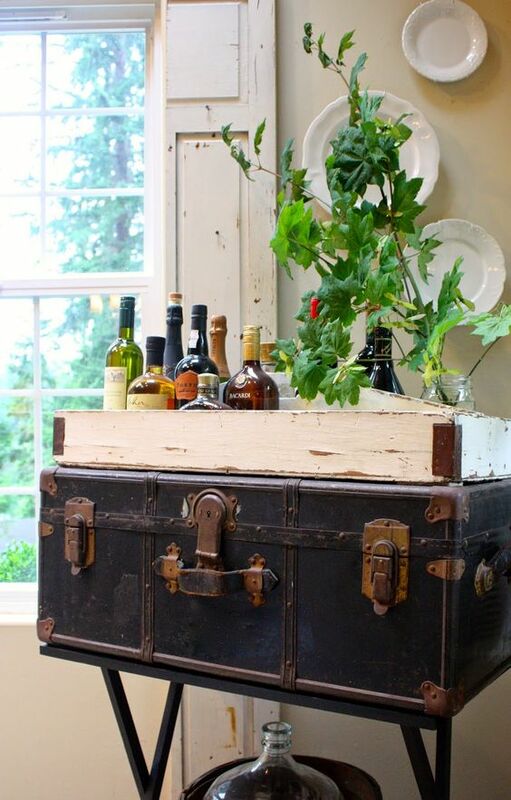 Most people don’t think of these as bar carts, but if you’re in love with a beautiful vintage or custom piece, using it as a bar can give it new life. Instead of following the crowd with the typical small cart, your hutch or buffet becomes the star of the show, and a conversation piece to boot. We can certainly all clink glasses to that. Who says that trunks should always be relegated to the foot of the bed? 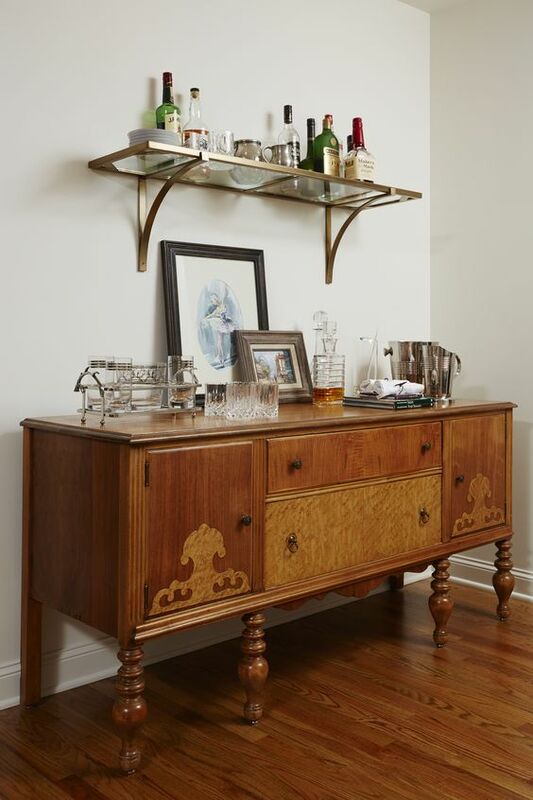 Give a beautiful antique a chance to shine by converting it into a bar cart. 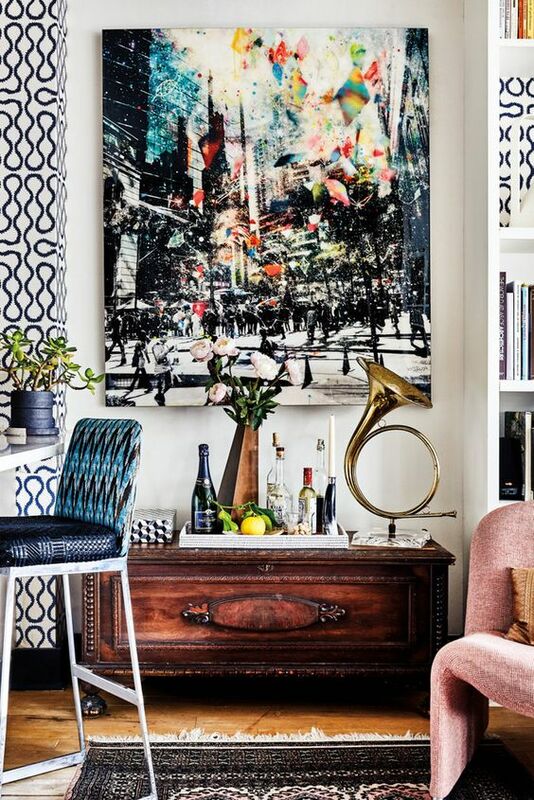 You’ll have a total unique piece, and it’ll instantly add personality and charm to any room. We love using these as bars – they’re perfect for tucking away bottles and mixers during the day, then showcasing them for guests at night. 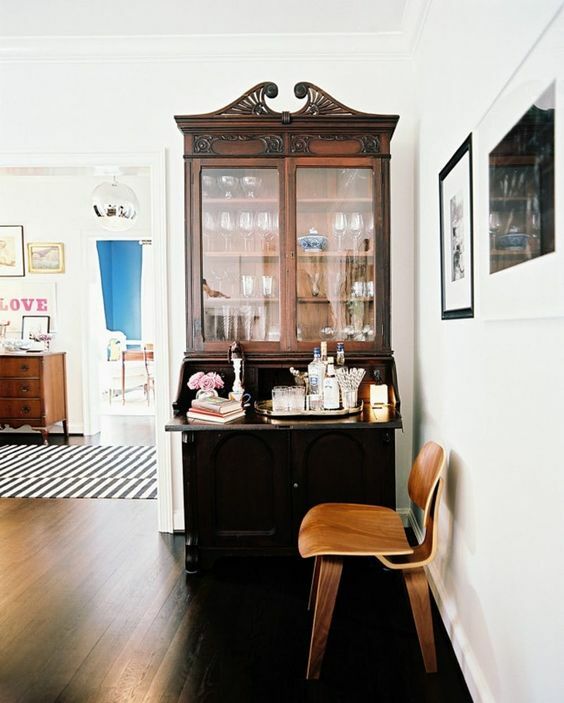 The desk itself doubles as a beautiful piece of furniture in the room, and it’s less obvious than a traditional cart. 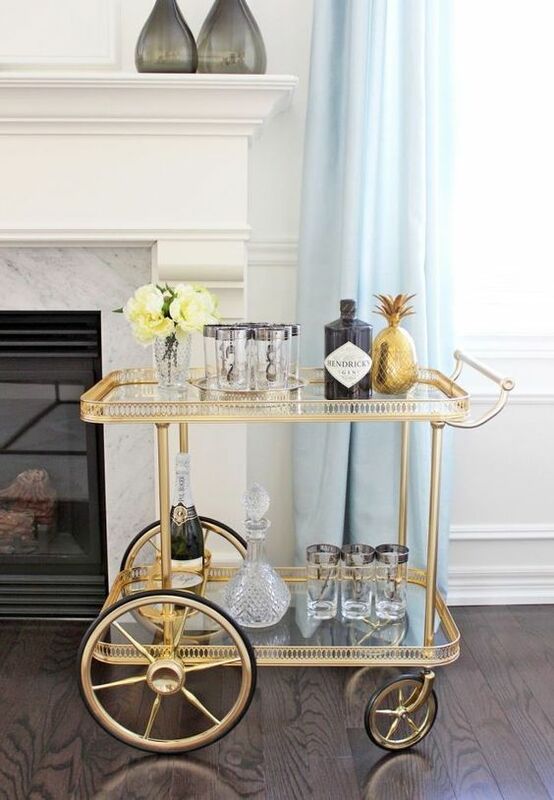 Similar to typical bar cart styles, vintage teacarts allow you to display your bar collection, but in a way that evokes memories of the past. Teacarts give a sense of timelessness to a space, and they’re much more visually interesting than current cart models. The great thing about a console table or cabinet is that it’s comparable in size to a classic bar cart, so you’re not losing space. But even better than that, it can double as an entryway table or living room piece. Opt for a table with doors to tuck your bar goods out of the way, or go for an open shelving unit for the opportunity to display your bar alongside any other personal items you love. Don’t have the space for a full bar? 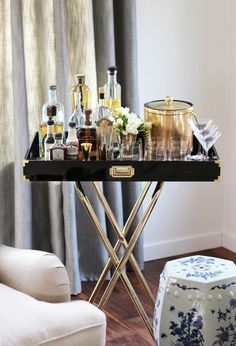 Why not use a simple tray to hold and showcase all of your cocktail goods? The best part about a tray is that it’s moveable – you can pop it on a coffee table, move it to a dining table, or store it on a dresser. It’s an instant party hit. 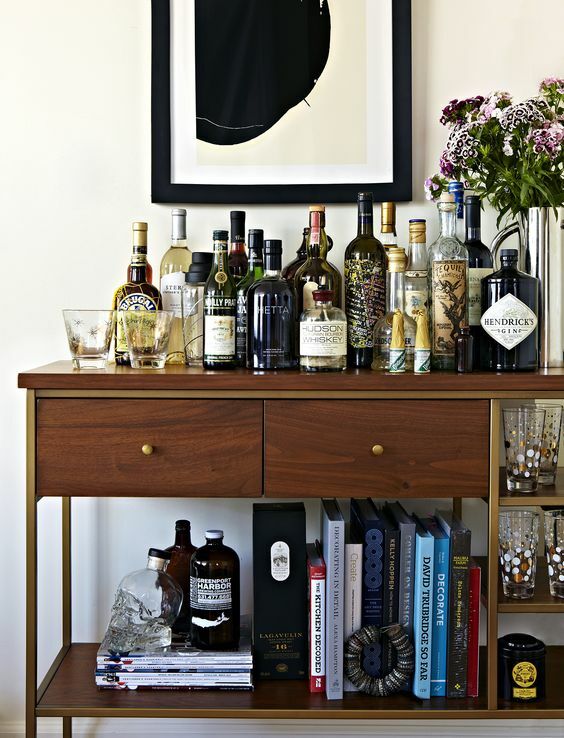 Your bar cart is a chance for you to think outside the box and incorporate pieces you love. 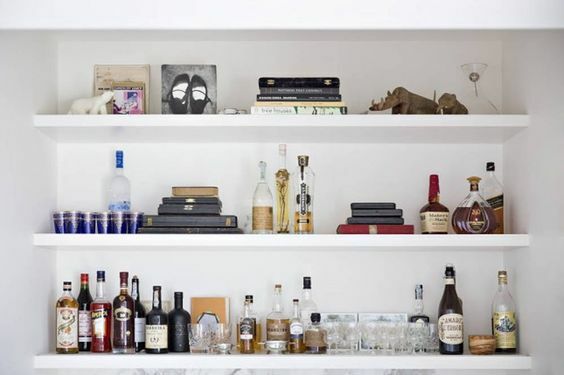 So whether you’re drawn to an antique buffet or floating shelves, your home has all the potential for the perfect bar setup. Now all you have to do is sit back and enjoy that G&T. Cheers!